Trestle puts ultimate control at your fingertips. Your Connections, your Data Feeds, your Fees. For more additional Trestle information and usage guidance, please see the Trestle Documention website. every data license, all data fees. APIs - Trestle has you covered. automated invoicing and fee collection. 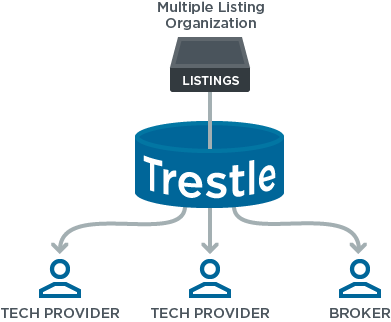 What do you get with Trestle?